Can they interact with ordinary people in the most destructive ways possible? Our science tells us that we should not believe in such things, that these events are simply rational events, explainable as misidentified occurrences or psychological afflictions. G.L. Davies, bestselling author of A most haunted house and this new comprehensive account, Haunted: Horror of Haverfordwest, lived in the abode briefly in 2003. His life was never the same again and he counts himself fortunate that he escaped the clutches of the house even though he emerged from its grasp dependent on alcohol and suffering all manner of mental maladies. Ten years later, he wrote of his experiences in the worldwide number one bestselling account A most haunted house. A most haunted house defied sceptic and believer alike with its honest and emotional account of a prolific haunting coupled with a collapse into agonizing despair. This new book has shocked the paranormal community. Haunted: Horror of Haverfordwest is the complete documentation of not only the haunting from the years 1989 to 1991 but G.L.Davies revisits his time at the house in 2003 along with presenting a forty page summary of possible explanations. This has been heralded as one of the most complete and comprehensive paranormal accounts in recent memory. Sceptic and believer are invited to join the investigation. Click the book cover to enter the house now! A must read for those looking for explanations.. Fred Batt – Most haunted Click the book cover to read today…If you dare!!! Soon Anne was subjected to visions and nightmares where she would visit the home at the turn of the 19th century and witnessed the most horrendous acts of cruelty and depravity ( too graphic to discuss here) from the occupants that once inhabited that home. Were these dreams and visions merely that or was Anne somehow travelling back in time to witness the origin of the debase evil? Electrical appliances from the home began to malfunction and soon Dai and Anne were receiving communication from their radio set. After a prolonged attempt to dismiss the events as mere rational occurrences they admitted they were, in fact, communicating with an otherworldly being(s). Haunted: Horror of Haverfordwest presents their findings as they recorded the voices from beyond and presents analysis on what may be happening. Depression took over as the couple began to battle each other, accusations of affairs with family members, allegations that each other were attempting to fabricate the haunting to rid the other one of the home became common behaviour. What entity could cause such trauma? Haunted: Horror of Haverfordwest presents such incredible detail in the words of those that lived in that house. This is not exaggerated entertainment but the actual documentation of people who lived in that house. G.L. Davies delves deep into their testimonials bringing out all aspects of the haunting, big and small, from the mundane occurrence to the horrific encounters while giving insight into his experience. Accounts like this have no happy endings with both occupants forced to leave the abode and carry the burden of the events there in secret for decades for fear of ridicule and contempt from the sceptical community that have no interest in actually trying to make sense of what happened in that house. Haunted: Horror of Haverfordwest will satisfy the sceptic community by presenting a near forty-page summary for explanations from the mundane, to the phycological and to the arcane. This is as complete an account as any paranormal enthusiast could wish for. 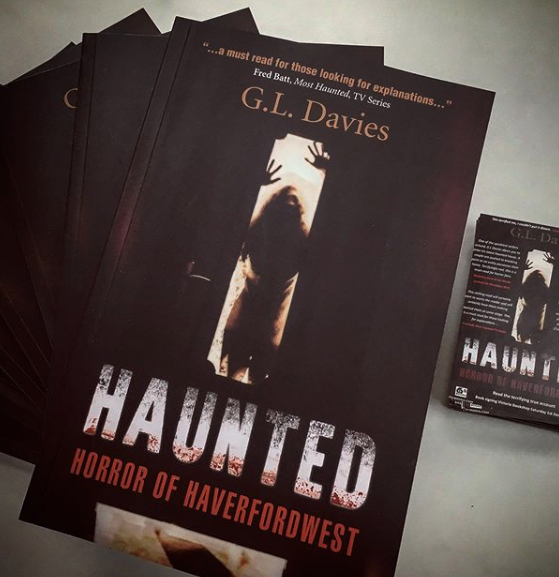 Haunted Horror of Haverfordwest also includes a new edit of the bestselling A most haunted house in which G.L.Davies began his relationship with the paranormal. He now presents to you one of the most complete paranormal testimonials of the 21 century. His account is one of blissful beginnings turning into a nightmare as he and his then-girlfriend are torn apart by the entity at the home. 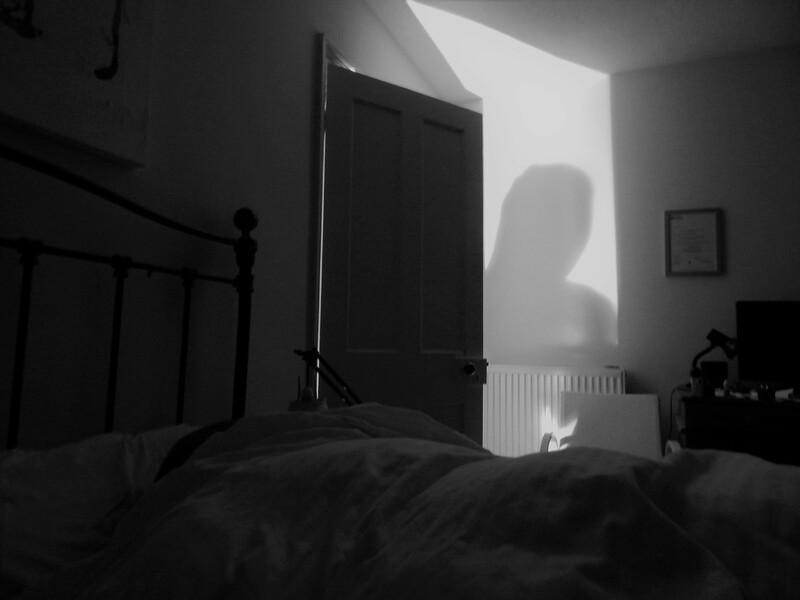 A most haunted house explored their experience of the Angry Man along with testimonials from friends and family that stayed there and witnessed the haunting. What did drive G.L. Davies into the state of depression, what is happening at that humble home in Haverfordwest? A must read for those looking for explanations… Fred Batt – Most haunted – Click the book cover to read today…If you dare!!! Next Issue 2 – FREE Emagazine is HERE!! How YOU can Astral Project, Cryptids, Life after death and more! !